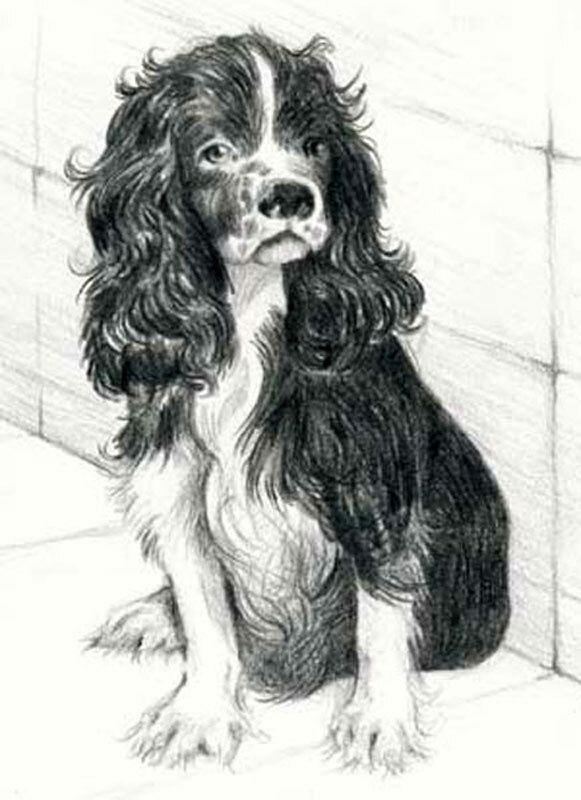 This little guy was at the shelter, and the rejection and sadness on his face moved me (graphite drawing). Hope he found a good home. 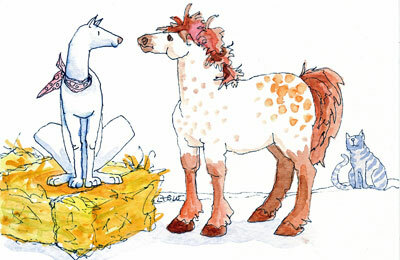 Happy Dogs II, a greeting card (watercolor & ink pen). I’m continuing the series of Happy Dogs but this series is in greeting card format.